Our stunning hotel rooms and pub on the Wellington Estate, near Reading, offers the perfect escape to the Hampshire countryside for family breaks, romantic getaways and convenient business stopovers. Beautiful accommodation in Stratfield Turgis. 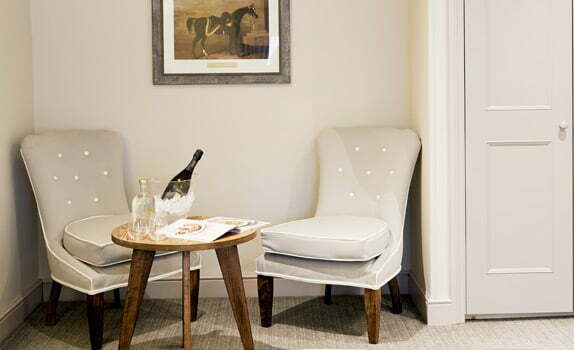 Our newly refurbished inn, located on the picturesque grounds of the Wellington Estate, offers 25 stunning hotel rooms to complement our traditional English pub and events suite. Situated conveniently on the A33, less than 20 minute’s drive from Hook, Basingstoke and Reading and just 45 minutes away from Southampton Airport, The Wellington Arms is the perfect location for business trips, family getaways and couples escapes. 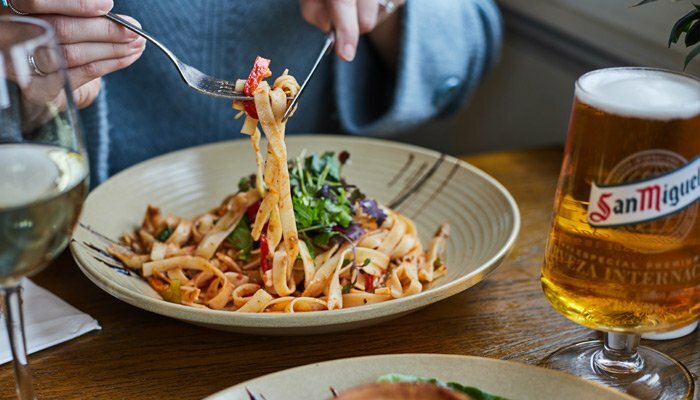 Whether you’re staying on business or pleasure, our traditional country pub offers all the key ingredients to ensure your stay will be enjoyable, relaxing and memorable; with a seasonal menu and specials board full of fresh flavoursome dishes and an extensive drinks list including local ales, artisan gins and award-winning wines. Surrounded by breathtaking countryside and tons of days out nearby, there is no shortage of things to do during your stay. The beautiful Wellington Country Park, Wellington Riding and Stratfield Saye House are all close by, plus enjoy shopping, sports, theatre and so much more within a short 15 minute drive. 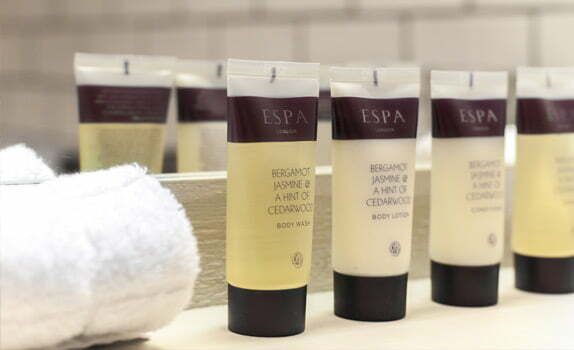 Our beautifully designed bedrooms will ensure you have your home comforts and space to truly relax and enjoy every minute of your time with us; from the crisp white linen and cosy bathrobes, to the luxury ESPA toiletries and top of the range en-suite with a glorious rain shower. In a building packed with history that dates back to the 18th century, The Wellington Arms offers charming B&B accommodation, combining a traditional English pub with modern design and decor. Whether you’re stopping over for business or pleasure, during the week or over the weekend, our friendly hotel team will be on hand to ensure your stay is as comfortable and enjoyable as possible. If there is anything we can do to help to make your visit even more perfect, please do not hesitate to get in touch with us. They say breakfast is the most important meal of the day and so we strive to offer you a delicious, locally sourced breakfast to start your day the right way. Enjoy a fresh selection of continental goodies and steaming cup of Hampshire-roasted Mozzo coffee. For those needing extra space, our larger family rooms can sleep up to four people and include a king size bed and a pull out double sofa bed for two children. If required, we can also provide a travel cot for babies and toddlers. We have a limited number of interconnecting rooms, giving you the benefit of additional space and two bathrooms. And, with a door between the two rooms, a peaceful nights sleep. These rooms are available to book over the phone only, so please call 01256 882214. Fantastic place to get away for a treat! We booked a dinner, bed and breakfast package with friends and it was simply gorgeous. Smiling, helpful staff greeted us. We had a stunning meal, all presented beautifully. The bar has a lovely cosy feel to it and the restaurant had plenty of atmosphere. The room itself was lovely, warm, stylish and lot more space than you get in most hotel rooms these days. Plug for charger by the bed, nice toiletries and robes, a sofa, desk and well-stocked minibar! Breakfast was delicious too. I left feeling full, relaxed and ready to return again soon. What do your rooms feature? *Some of our rooms are also available with baths. If requested, we will do our best to ensure you have a room with a bath, but cannot guarantee it. A continental breakfast is available every morning, alongside the morning papers, with the option to upgrade to a freshly cooked breakfast if preferred. If you require extra blankets or pillows (or allergy-alternatives), please speak to a member of our team who will be happy to help make your stay as comfortable as possible. You are more than welcome to arrive at any time and we will store your luggage safely for you. However, check-in and access to bedrooms is available from 2pm – 10pm daily. Check-out is at 10am from Monday to Friday and 11am on weekends and bank holidays. A member of staff is available from 9am -11pm, 7 days a week at the main reception or bar area to offer assistance and make your stay comfortable. If you require access to your room earlier than 2pm on your arrival day, please let us know in advance and we will do our best to have your room ready for you at an earlier time. Please note, we cannot always guarantee this, so this is subject to availability. Yes, we have a large customer car park at the back of the building which leads directly to the hotel reception. Do we have to book a table in the restaurant if we would like to dine during our stay? Yes, the pub gets incredibly busy and we cannot guarantee you a table should you not have made a reservation. We do recommend that you book a table at the time of booking to avoid disappointment. You can do so by contacting us or you can book online via our easy booking system. Take a look at our menus to see what we offer. We certainly do! As a family-friendly hotel and pub, we welcome visitors of all ages. Do let us know the ages of your children when booking and we will ensure there is a toy box full of fun games and books waiting in your room on arrival, to keep the little ones entertained during their visit. In our restaurant, we offer a Kid’s Menu containing homemade dishes that are both low in salt and sugar where possible. Take a look at our Kid’s Menu here. If you require an extra bed or cot for children, please do let us know at the time of booking to avoid disappointment. Should you need a little more space, we have the facility for two interconnecting rooms, ideal for those traveling as a family. If you require an extra bed or cot for children, please do let us know at the time of booking to avoid disappointment. 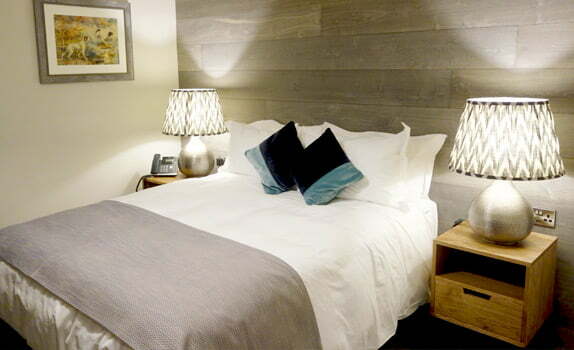 Due to limited availability, this option can only be booked over the phone, so please call us on 01256 882214 to check availability and book our interconnecting room. Yes, our gift vouchers are the perfect present for those that deserve something extra special. Treat them to a relaxing B&B stay at The Wellington Arms, with the option to upgrade to include a delicious dinner in our beautiful pub. We will ensure they are well looked after and come away relaxed, content and holding many happy memories of their gift from you. Find out more about our Gift Voucher options here. Are dogs allowed in your hotel rooms? Unfortunately, we do not allow dogs in our hotel rooms, with the acceptance of assistance dogs in our disabled access rooms. However, they are more than welcome in our pub, whilst you enjoy a meal with us. I’m planning this as a surprise. Can you help arrange this? 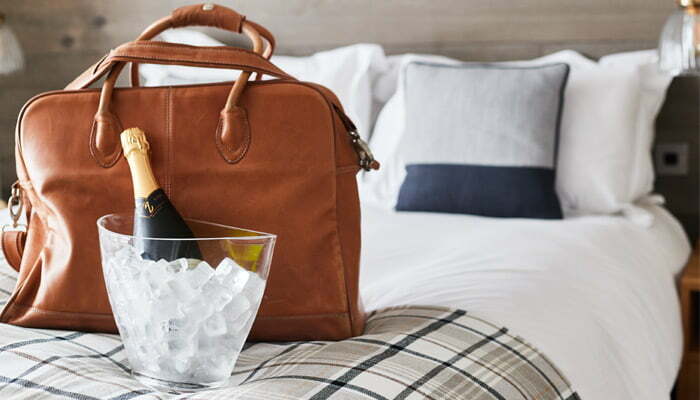 To add a little extra spark to those special occasions, we’re more than happy to arrange some additions to your room, ready for when you arrive. From bouquets of flowers or rose petals on the bed to champagne and chocolate covered strawberries. Please do get in touch with us to discuss your plans and we’ll help in any way we can to make the occasion one to remember. 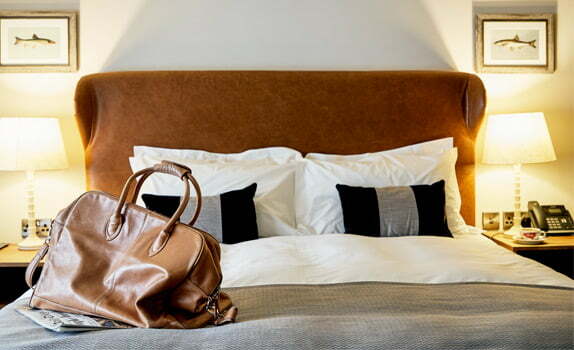 How is your Copenhagen Suite different from your other rooms? 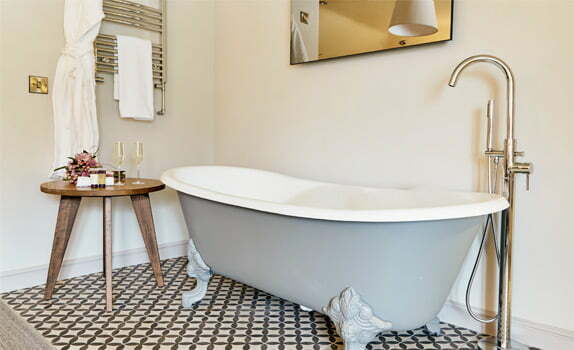 Our Copenhagen Suite is our premium room with a luxurious super king size bed, seating area and large freestanding in-room bathtub, as well as an en suite with a glorious rain shower. Perfect for those extra special occasions.